Ask any Irish cycling enthusiast which county they think is the flattest and they will almost certainly tell you Kildare. Prior to our reconnaissance of the course, I was of the same opinion. The broad farmlands and rustic scenery have long been a popular location for cycle races and bring back memories of hiding behind a gorse hedge, enjoying the summer sunshine, waiting for the main group to complete another lap so that I could sneak in at the back and try again. The roads may dip and roll, but surely there are no actual hills? How wrong I was. 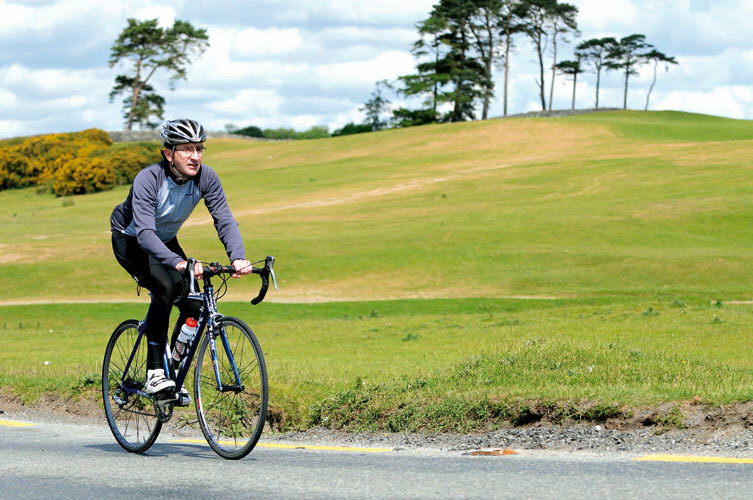 We asked the event’s namesake and unsung hero of Irish cycling, Martin Earley, to preview the course for us during a visit to his homeland to ride another cyclo-sportive, the Wicklow ‘200’. He was accompanied on his ride by a cohort of experienced cyclo-sportive riders from the local Naas Wheelworx Cycling Club. 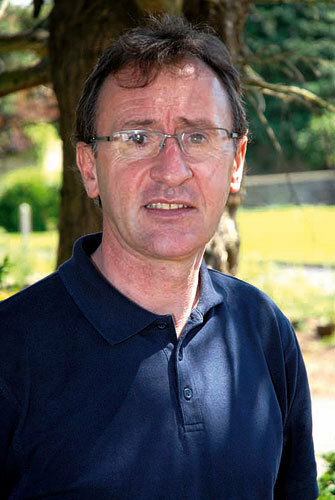 Now living in Stoke-on-Trent where he has a sports therapy practice, Martin rode as a professional from 1985 to 1996 with teams such as Fagor, KAS, PDM and Festina. He took several major wins over his 11-year career, including victory on stage 15 of the 1986 Giro d’Italia and stage eight of the 1989 Tour de France. He was a member of the KAS team that assisted Sean Kelly to victory in the 1988 Vuelta a Espana and finished 19th overall. He was also a member of the Irish teams that facilitated Stephen Roche’s win in the 1987 World Championships and Sean Kelly’s third place in 1989 edition of the race, where Earley finished seventh. Following his retirement from road racing, Earley competed for several seasons on the British mountain bike circuit, riding for a time with the Raleigh team, and finished 25th in the mountain bike event at the 1996 Olympic Games in Atlanta. During the course of his professional career Earley achieved results that for an Irish rider are beaten only by the achievements of Shay Elliot, Sean Kelly and Stephen Roche. His stage victories in the 1986 Giro d’Italia and the 1989 Tour de France were high points. His victory on the Giro was an exhilarating experience. Roberto Visentini, Greg LeMond, Giuseppe Saronni and Francesco Moser all finished within 90 seconds of him. “I was away in a break, that stage had a mountain-top finish. I kept hearing that the gap was closing. It was a relief to get over the line, especially when I was being chased by the best riders in the world at the time. “You have to put a lot of value on a stage win in the Tour de France. Any rider, at any level, will put a stage win in the Tour high up on their list of ambitions. If you want to go higher than that you are looking at winning a major Classic or a big stage race. That has to rate, personally, as one of my best achievements. His big wins came at a time that was the golden age for cycling in Ireland. Kelly and Roche were at the height of their powers and every child in the country wanted to race a bicycle. I asked Earley about his memories of that time and in particular about coming home toward the end of the season to ride the Nissan Classic and the Kellogg’s City Centre Series. “I appreciated how big a thing it was on the Continent. For any country to have riders of the calibre of Sean and Stephen would have been very lucky. Naas, where the event starts and finishes, is the largest town in County Kildare and is easily accessible from Dublin City via the M7 motorway. It’s situated in the heartland of Irish horse racing, with two major racecourses in close proximity to the town. From here, the route heads north through Sallins in the direction of Clane before turning north-east and travelling on towards Celbridge. The prevailing tailwind and relatively flat roads should mean that everyone will be well warmed up by the time the route turns north-west after 15 miles (24km). The next major port of call is the historic university town of Maynooth, where Earley crosses over the waters of the Royal Canal for the first time. From here, the route runs parallel to the canal before crossing it again and heading south-west from the picturesque town of Kilcock, a destination popular with canoeists and, as with many other locations in County Kildare, golfers. The road climbs sharply out of Kilcock and Earley tackles the incline out of the saddle in a relaxed, almost effortless manner. It is a proper summer morning for a change, and a warm wind offers no relief from the heat. After a short descent the route continues towards the halfway point, just before the town of Prosperous. It is likely that there will be a noticeable change in pace from here on, as the route enters the rugged lands of the Bog of Allen. The earthy smell of turf hangs in the humid air. The road rises steadily and riders who have the ambition will have an opportunity to test their anaerobic fitness. After approximately 35 miles (56km), Earley takes in the steady but demanding section of road through Robertstown. 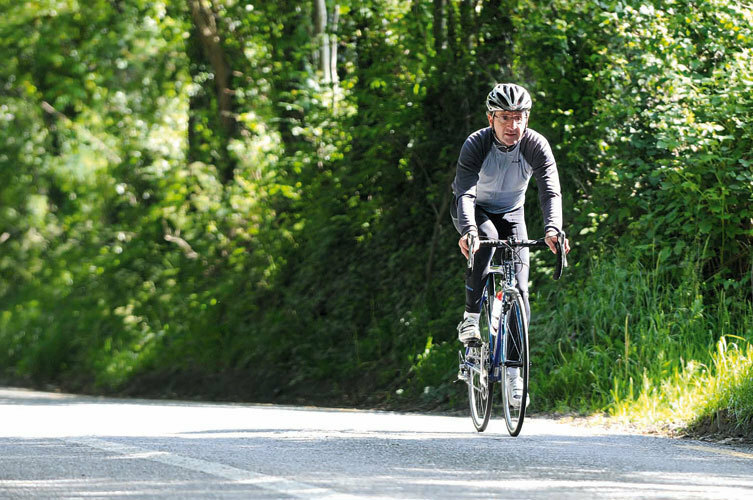 After a brisk descent he tackles the short, sharp ascent of Boston Hill before turning off a main road, dropping down and then ramping up a relatively short but certainly steep climb known among the local cycling community as ‘Kildare’s Mur de Huy’ or simply ‘the Wall’. Anyone misjudging their strength here could well find themselves frantically scrambling for gears. Although it goes straight up it is a technical climb. The road surface is gritty, and rear wheel traction could be a problem when climbing out of the saddle. That said, the view from the top makes the effort worthwhile. Overlooking the patchwork arrangement of fields that make up South Kildare, and overlooked by the forested slopes of the Hill of Allen, the view from the top of the Wall is one of the highlights of the ride. The crops growing in the land below should be ripening in the sun on the day of the event, and the colours will make an excellent backdrop. A fast, sweeping descent brings Earley into Kildare town, which takes its name from the church founded in 490AD by Kildare’s patron saint, Brigid. From here, the route passes through the open plain of the Curragh, a picturesque area synonymous with the breeding and racing of horses, and the main training barracks for the Irish Armed Forces. Depending on the direction and strength of the wind, this section will either be a pleasure or a particularly hard slog. There is the added risk of encountering one of the many lawless flocks of sheep, who eye Earley suspiciously as he rolls leisurely through, enjoying the sunshine and the canary yellow spectacle of the gorse-covered embankments. The final five miles consist of a series of strength-sapping drags, including the road through the village of Two Mile House which, with two miles to go, is a bitter sting in the tail of the course. Depending, again, on the direction of the wind, the smell of the barbecue at the finish line will lure riders home with the promise of a burger and a cool drink. n The Martin Earley Tour of Kildare takes place on August 10. All proceeds will go to the Marie Keating Foundation, a prominent Irish charity which provides support services and promotes public awareness related to breast cancer. There will be three route options, 100km, 50km and 20km, to cater for the various levels of ability and fitness. For full details of the event log on to www.tourofkildare.com. The Martin Earley sportive starts just to the south-west of Dublin and the 100km route heads north on the R407 and R405 to Kilcock, the furthest point north. The western leg heads south-west via Prosperous and then south to Kildare before looping east across the M7 and back up to the start/finish in Naas.